Dr. Acker, a board-certified pediatrician, received a bachelor of arts degree in biology from Oberlin College. He was awarded his medical degree from Sackler School of Medicine, Tel Aviv, Israel, followed by his residency in pediatrics at New York University Medical Center. He then completed a fellowship in ambulatory pediatrics from New York University Bellevue Medical Center. 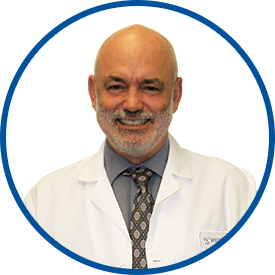 Prior to joining WESTMED in October 2016, he was a pediatrician at Pediatric Associates in Rye Brook since 1987. Dr. Acker is a Fellow, American Academy of Pediatrics, and attending pediatrician and chairman of pediatrics at Greenwich Hospital. He has been consistently listed in Westchester Magazine’s “Top Doctors” issues. Can not say enough positive prasises for Dr. Acker. He is one of the warmest and best doctors I have ever interacted with! We have been with Acker for the life of my child. He has this down pat - his communication skills are very good: both children and parents understand the Dr.'s responses and feel confident of his services.